We have advised the leading UK mid-market private equity firm LDC on a multi-million pound development capital investment into Patrick Parsons. The investment will support the Newcastle-headquartered engineering consultancy’s UK-wide expansion strategy and funded its acquisition of an infrastructure engineering specialist business. Patrick Parsons employs more than 250 specialist engineers and provides design services across civil, structural, geo-environmental and M&E disciplines to blue-chip clients in the residential, commercial and infrastructure sectors. 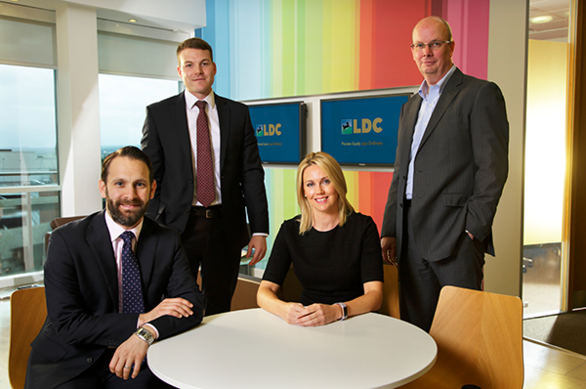 LDC is backing Patrick Parsons’ management team to continue its growth strategy. Robert Bodnar-Horvath, who has more than 25 years’ experience supporting the growth of businesses in the engineering sector, is also joining the board as non-executive chairman as part of the deal. The management team has driven significant growth in Patrick Parsons over the past 10 years, both organically and through a targeted acquisition strategy. Its turnover has increased from £1m in 2007 to £18m today, with the group now operating from eight sites across the UK. Some of its most notable projects include consulting on restoration works at Durham Cathedral and developing the world’s first modular flat packed white water course in Glasgow. The investment also supported the acquisition of THDA. The Birmingham-based business specialises in designing civil engineering infrastructure for development schemes such as major highways, roads, earthworks modelling and flood risk assessments. The deal is set to further strengthen the national capabilities of Patrick Parsons in this market. Peter Stienlet, Partrick Parsons managing director, said: “We have grown significantly and this is undoubtedly down to the hard work and commitment of our people. “It was vital that we found an investment partner that understood both our vision for growth and the importance we place on this culture. In LDC, we have a highly-experienced partner that is backing us to continue our growth journey, and helping us to invest in the future of our business. The deal was led by Ben Snow and Zara Lane at LDC in Newcastle. LDC was supported by our corporate finance team which was led by partners Philip Clare and Mike Spetch and associate Adam Rayner. Ben Snow said: “Patrick Parsons has an exceptionally strong management team that has successfully spearheaded the growth of the business, while retaining the values of a smaller sized firm. “The acquisition of THDA is an exciting development for both businesses. It allows Patrick Parsons to further strengthen its service line and create more opportunities for both its employees and customers in a market that shows strong growth prospects as infrastructure investment continues to rise. LDC backs ambitious management teams seeking up to £100m of equity for management buy-outs, institutional buy-outs or development capital transactions. The firm invests across a broad range of sectors and has committed to invest £1.2bn in UK mid-market businesses over the next three years. John Garner, head of LDC in Yorkshire and the North East, added: “We’re committed to backing ambitious management teams in the North East and Yorkshire and this latest deal signals our intent to continue investing in the region. LDC was also advised by BDO and KPMG. Commercial due diligence was provided by CIL.